was an American electrical engineer, mathematician, AI-researcher, doctor of medicine, gerontologist, biomedical scientist, co-founder and director of the Gerontology Research Group , lecturer with the University of California, Los Angeles Molecular Biology Institute and the Department of Chemistry and Biochemistry, and a research collaborator in the Department of Pathology and Laboratory Medicine at the David Geffen School of Medicine at UCLA. He was researcher on supercentenarians and aging, and creator of The Bridge Plan, containing nutrition and lifestyle recommendations that are believed to help maximize life expectancy , to possibly bridge the gap until a hoped-for biomedical singularity event . L. Stephen Coles died on December 3, 2014 of pancreatic cancer. His brain was cryonically preserved by Alcor Life Extension Foundation . L. Stephen Coles received a B.Sc. in electrical engineering from Rensselaer Polytechnic Institute in Troy, New York, a M.Sc. 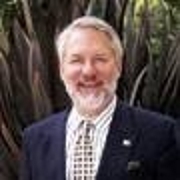 in mathematics from the Carnegie Institute of Technology, and a Ph.D. in systems science and communication sciences from Carnegie Mellon University in 1969 on Natural language processing . He researched on artificial intelligence, robots and biorobotics at Stanford Research Institute and the University of California, Berkeley, focused on medicine at the Stanford University School of Medicine and completed his medical intern in obstetrics and gynaecology at the Leonard M. Miller School of Medicine at University of Miami, and served as lecturer and visiting scholar and researcher at University of California, Berkeley, Stanford University, Harvard University and UCLA  . While affiliated with Carnegie Tech, researching on AI, Steve Coles became interested in computer chess. He shared his sobering experience to lose a game of chess from Mac Hack VI in April 1967 with Allen Newell and Herbert Simon , expressing his concerns on the development of computer chess at Carnegie Tech with their time-sharing system of the dual processor CDC G-21, and mentioning programmers George Baylor and Joseph S. Rubenfeld and others working on chess programs. During the early 70s, Steve Coles published several articles, reports and notes on computer chess in ACM SIGART Bulletin. 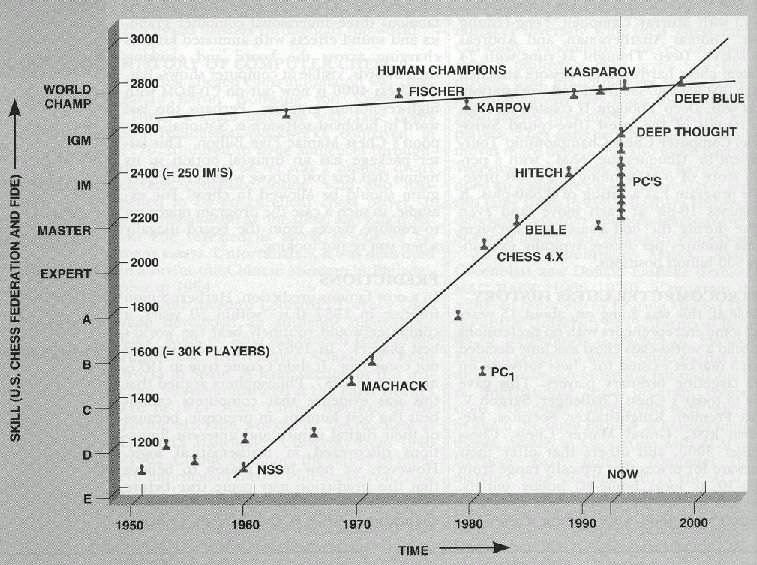 In his 1994 article Computer Chess: The Drosophila of AI , posted 2002 in Dr. Dobbs , he produced a figure and calculated a roughly forty-point per year growth rate in best computer Elo ratings since 1960 . Mentioned chess programs of the computer chart are NSS, MacHack, Chess 4.x, Belle, HiTech, Deep Thought and Deep Blue, the intersection point with the human chart estimated in about 1997. ↑ L. Stephen Coles (1994). Computer Chess: The Drosophila of AI. AI Expert, Vol. 9, No. 4, Miller Freeman, Inc. This page was last edited on 5 April 2019, at 20:07.